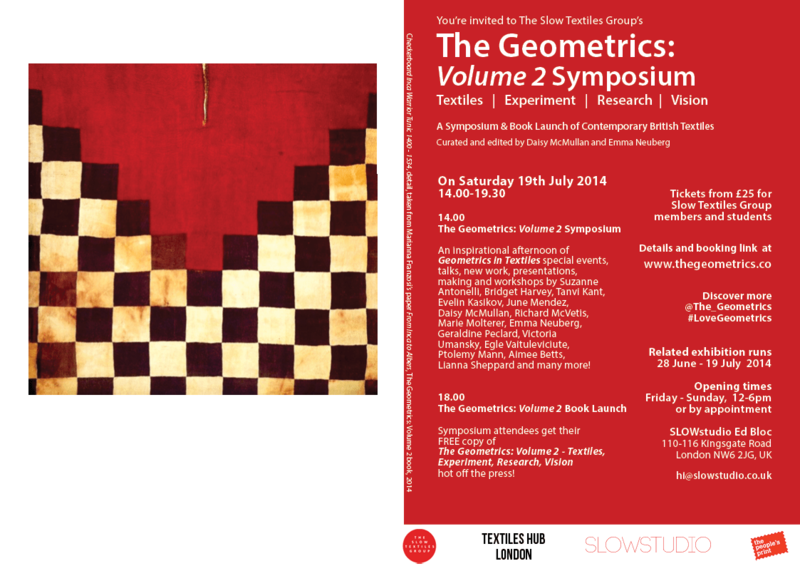 THE GEOMETRICS SYMPOSIUM: ‘Geometrics in Textiles – From Inca to Mary Quant’ at SLOWstudio 19th July 2014! Previous articleUncategorizedOur WIENER WERKSTATTE-INSPIRED GEOMETRICS WORKSHOP now takes place 20th Sep 2014! Next articleUncategorizedWe are Radical Geometry!